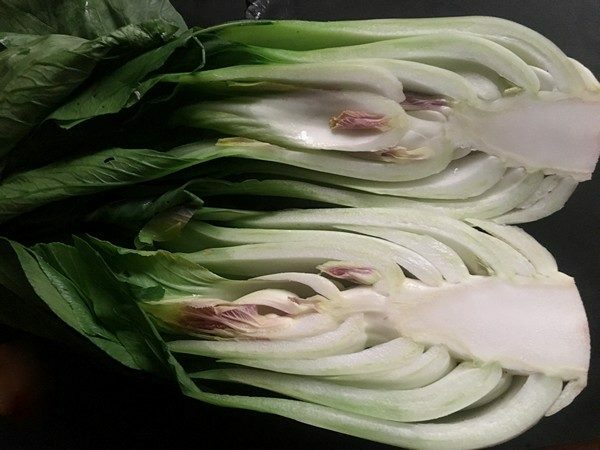 Trim bok choy and separate dark green tops from white stems; thinly slice stems and slice tops into 2” strips. Peel ginger and finely chop half of it. Slice remaining ginger into thin matchsticks. Heat 1 tablespoon oil in a large skillet over medium-high heat. Add pork and cook, breaking up with a fork, until golden and cooked through, about 10 minutes. Season with salt, 1 1/2 tablespoons soy sauce and 1/2 tablespoon rice wine vinegar. Use a slotted spoon to transfer meat to a bowl. Add remaining 1/4 cup soy sauce and 1 1/2 tablespoons rice vinegar into the pan. Cook until just warmed through. Transfer to a large bowl and toss with remaining scallions, sesame seeds, sesame oil, herbs, ginger matchsticks and a splash of black vinegar. Serve over cooked jasmine rice and enjoy! My verdict: This was so good, Frank picked up another bunch of bok choy the week after! 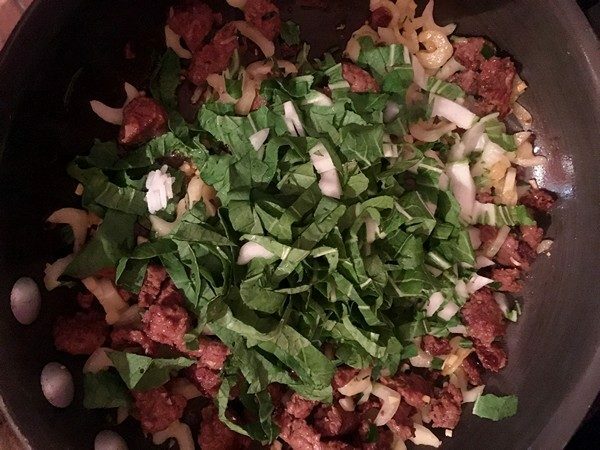 It’s a recipe that you can easily do variations of. The original recipe called for it to be served with rice noodles, which is probably great, but we had rice in the house so used that. 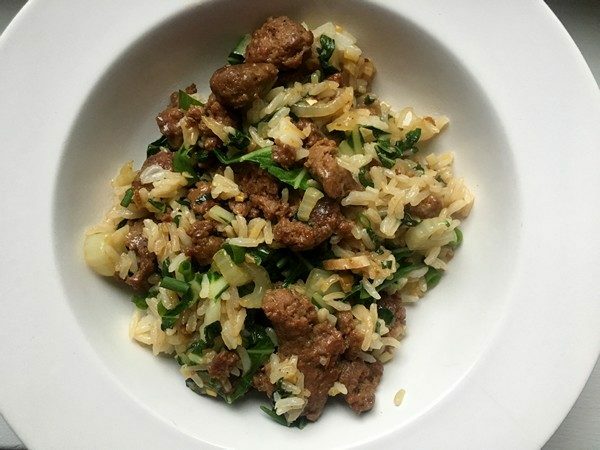 In my quest to eat down the contents of the freezer (yes, again) I had some red curry lamb sausage that I removed from the casing and crumbled up instead of the ground pork. Hot Italian sausage would work well too. 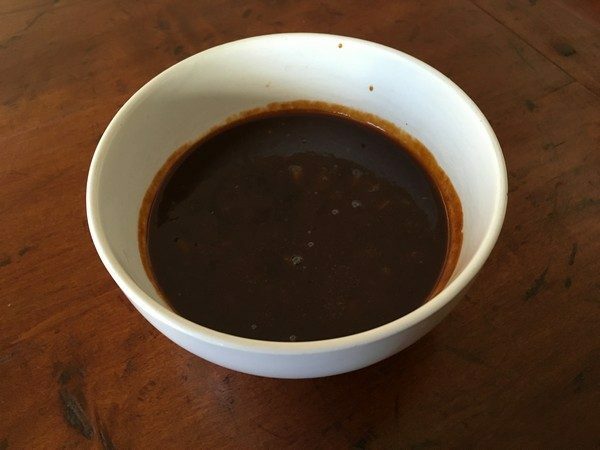 If you don’t have black vinegar, you could easily forget it, or use a mix of balsamic and rice wine vinegars. 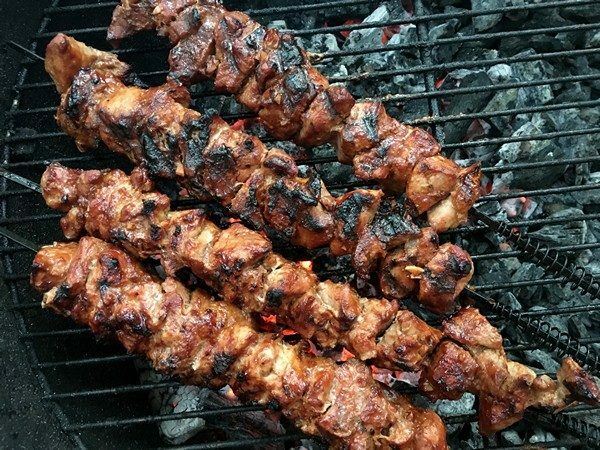 While it’s still warm enough out to keep the grill going, you owe it to yourself to make these pork skewers. They’re easy to toss together and just require a little marinating time. In a large bowl, mix the garlic, soy sauce lime juice, ketchup, ½ cup ginger ale, salt and pepper. Set aside ½ cup of the marinade and refrigerate. Add the pork to the bowl with the marinade, toss to coat. 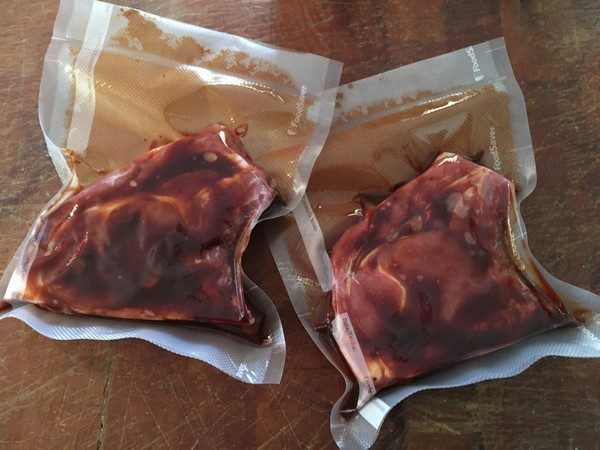 Cover and marinate for at least 30 minutes, but preferably overnight (in the refrigerator). When you’re ready to cook, remove the pork and preheat your grill to medium-high. Take the extra ½ cup marinade from the refrigerator add the ½ cup ginger ale and the brown sugar. Mix well and set aside to glaze the skewers. If you’re using bamboo skewers, soak them for about 20 minutes. Skewer the pork and grill for about 12 minutes a side or about 30 minutes total. Baste the pork every few minutes with the reserved marinade. 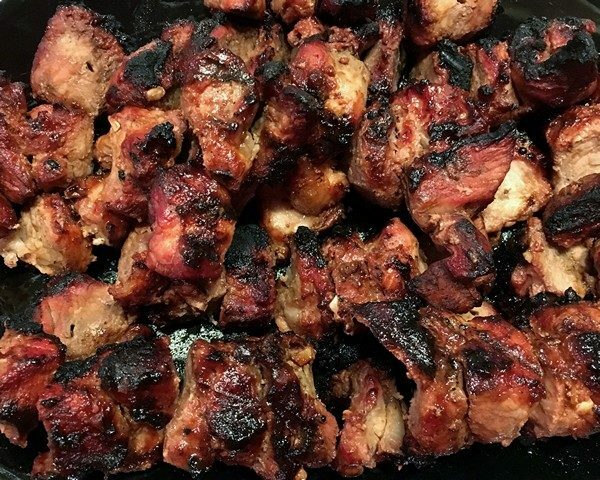 My friend Jasmine gave me the recipe, telling me it was like pork candy and she was right! We served it over some rice (jasmine or basmati) and it was delicious! Originally, I didn’t know what we were going to do with the pork, so I ended up buying a big piece of pork shoulder and we had tons of skewers (but not for long). I used some of the More Good ginger ale syrup, mixed with some seltzer, because it’s a little healthier and we didn’t have any ginger ale on hand. You could probably substitute some grated ginger and a little sugar or simple syrup. 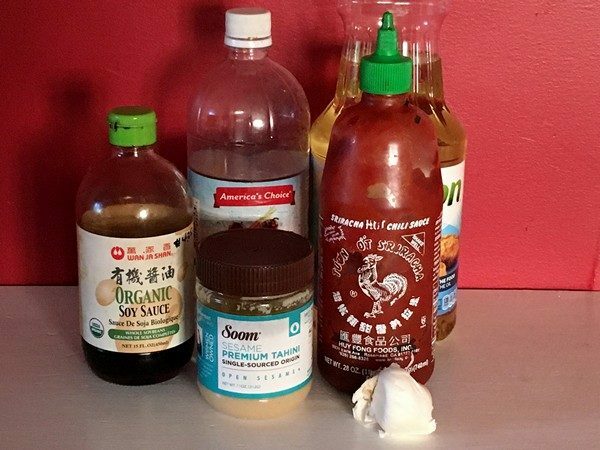 If you want to add heat to it, a shot of sriracha or some finely minced chiles would be good. Doesn’t everyone look forward to a new restaurant opening? The thrill of the chase (am I the first of my friends?). The anticipation of something new and different (will we have another place to add to our list of favorites—or the old standbys as my mother would say?). What will we love and look forward to on the menu? 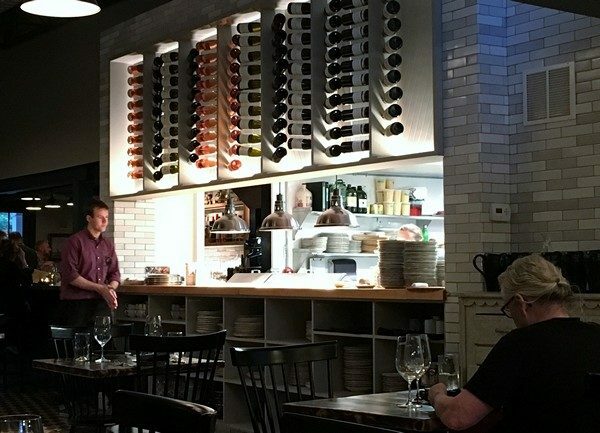 Those are big shoes to fill and the Amsterdam burst into the Rhinebeck dining scene ready to take them on. Menu item are seasonal and locally sourced, but thankfully the restaurant doesn’t feel the need to spell out the latitude and longitude of the radishes mixing it up with the pork chop special. 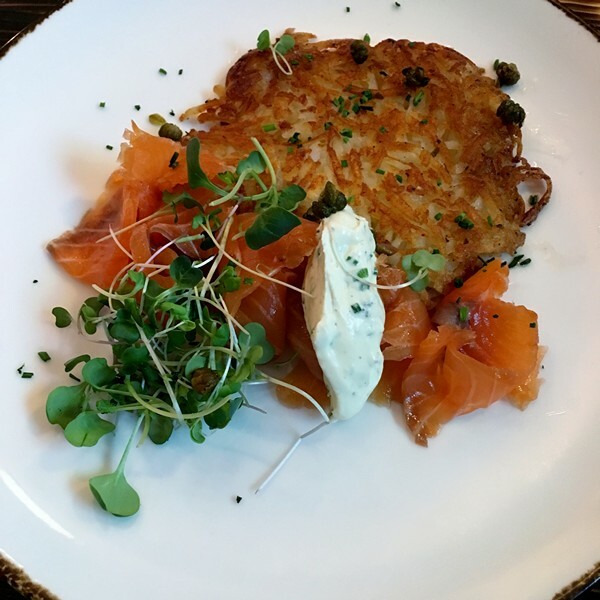 We started out sharing the house-smoked salmon with a big potato pancake (described on the menu as “hash brown”), a dollop of crème fraîche, a few fried capers and some micro-greens for décor. The salmon was delicious, silky with a nice punch of smoke and the hash brown was nicely crisped on the edges and creamy inside. The house sent over a plate of rabbit pâté with bourbon-soaked cherries. 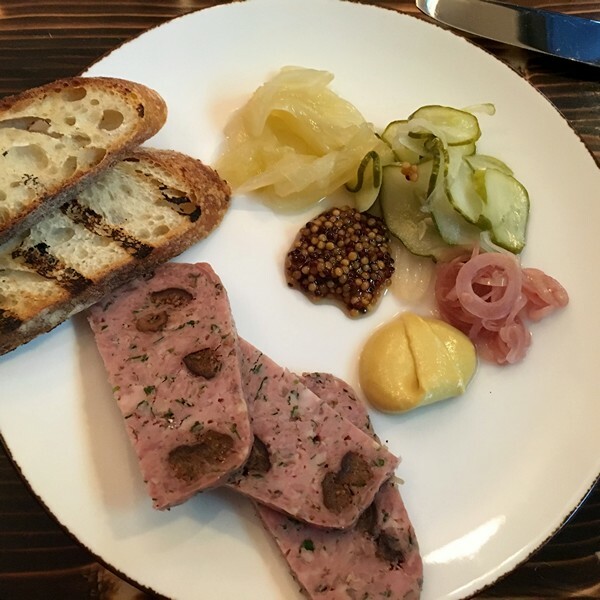 It was terrific and the trio of pickled fennel, shallots and pickles were fun to mix and match with it (note to the squeamish, I can guarantee that you would never guess it was rabbit, so just order it and enjoy). 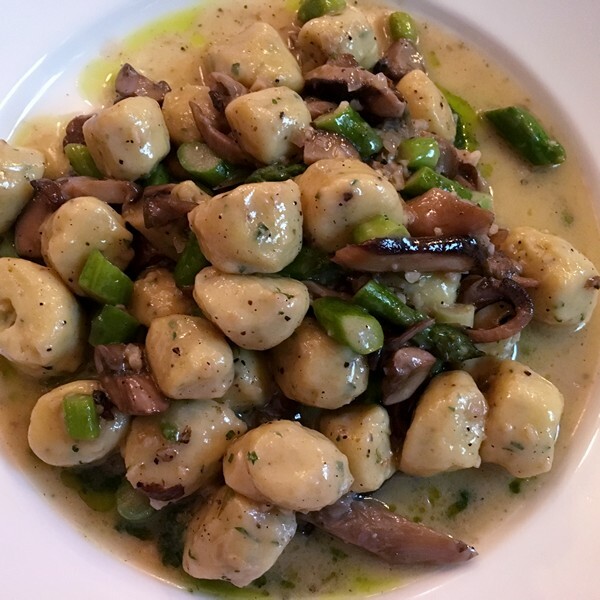 I’m a sucker for gnocchi, so I had to try the farmer’s cheese gnocchi with mushrooms, asparagus and a nettle pesto. It was a big, hearty serving of tender gnocchi. I’m not sure exactly what a nettle is supposed to taste like but the pesto was good and worked well with the mushrooms and asparagus. Janet went with the pork chop special. 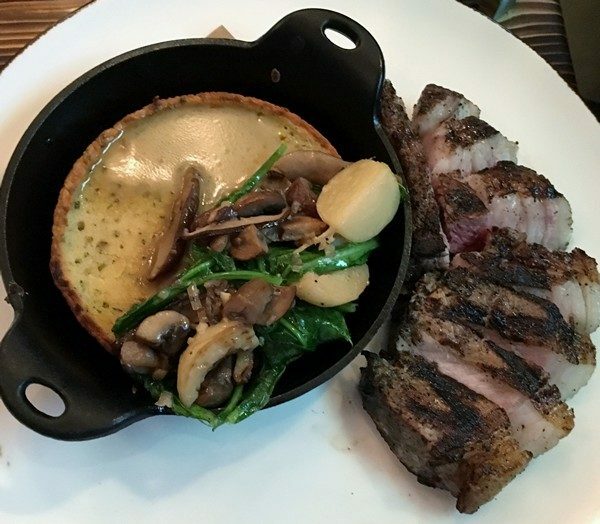 It was a great tasting chop, perfectly seasoned and cooked and according to her “the best pork chop I ever ate!” The chickpea tart that came with it was interesting and unexpected. 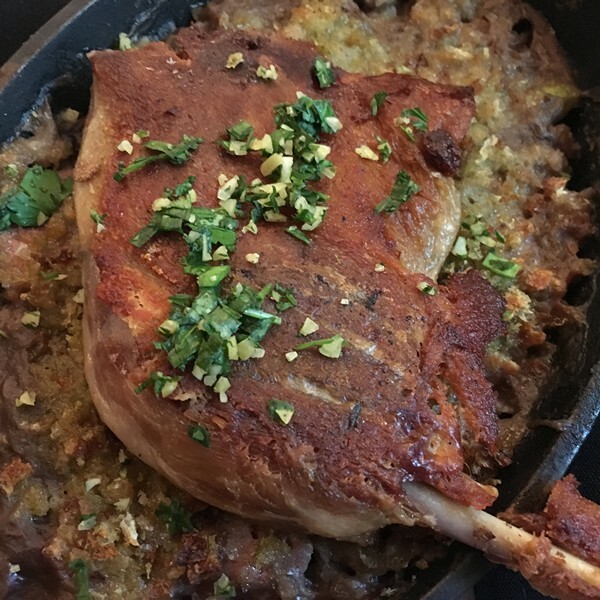 The only downside was that as much as pork fat is great, this particular chop was incredibly fatty, making the serving only about 6 meaty bites (and we wanted more—a good thing). We skipped dessert. 4 selections on the menu, three of which had nuts so not for me. You can also opt for some nice cheeses from the area. The service is young and friendly and if you’re there on a Friday night like we were, the crowd is eclectic with a lot of people looking like they just escaped BK. For summer, the restaurant opened up the outside space, so you can dine under the stars and toss a few boules in the court between courses. A second, weeknight dinner, showed a more confident kitchen, consistently turning out really good dishes and according to a friend, a perfectly made Whisky Sour. For me, a small morsel of cheese made a perfect dessert, but it still seems IMHO to be the weak link on the restaurant’s menu. If you go, let me know in the comments what you think. Enjoy!